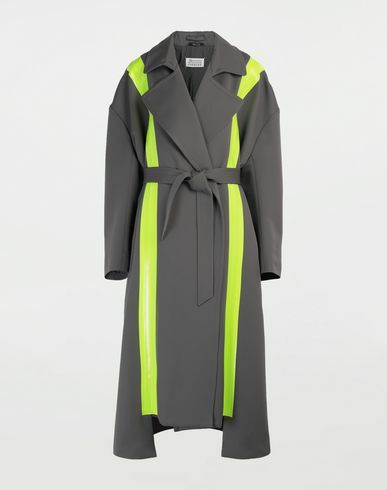 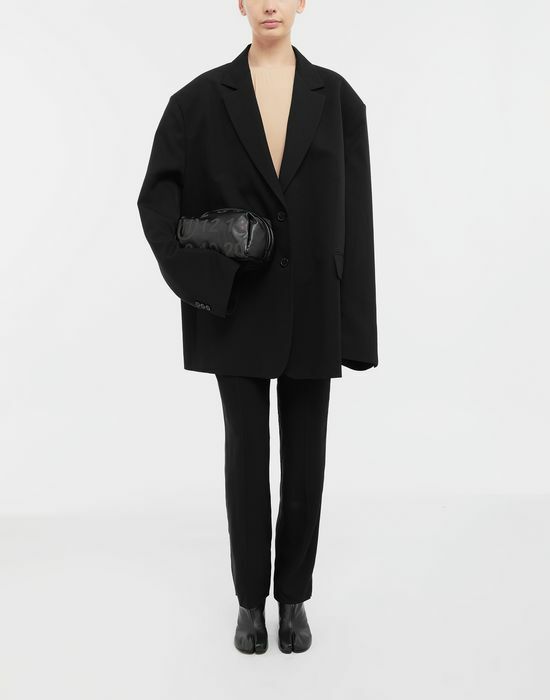 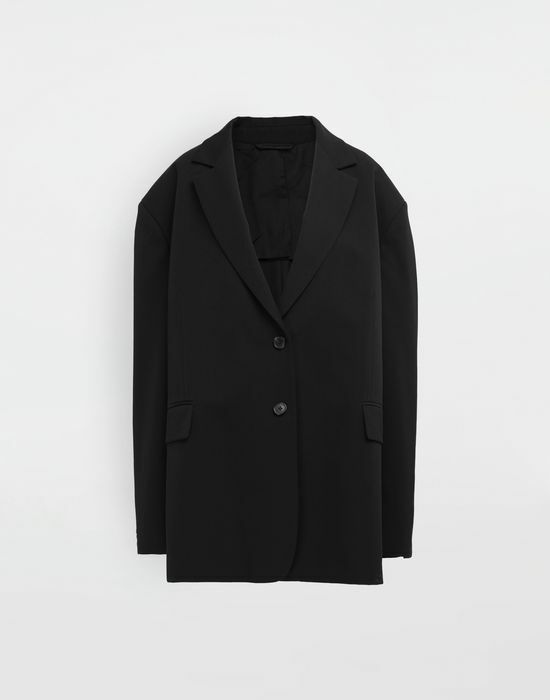 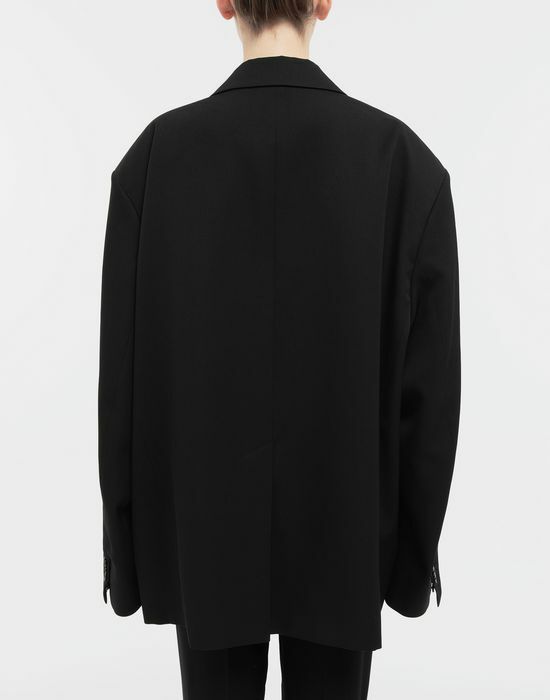 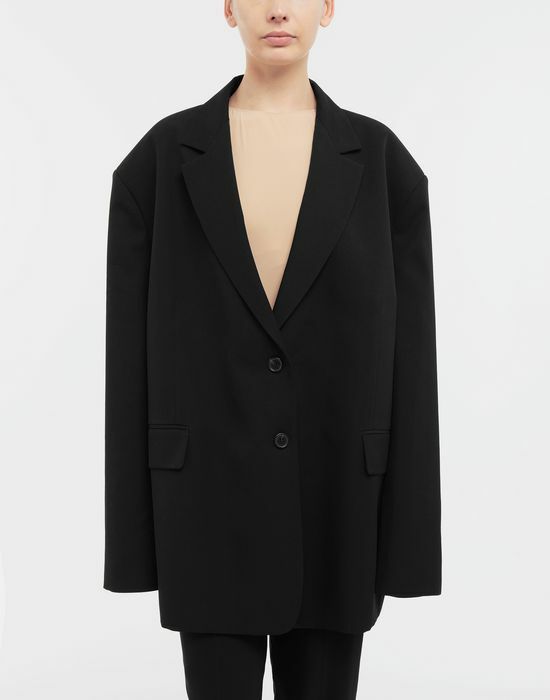 Playfully oversized, this black pure wool jacket has deliberately dropped shoulders and extra-long sleeves. 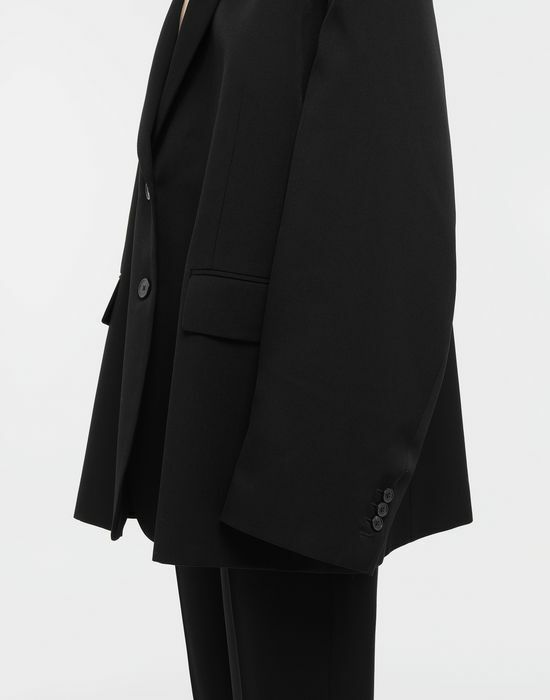 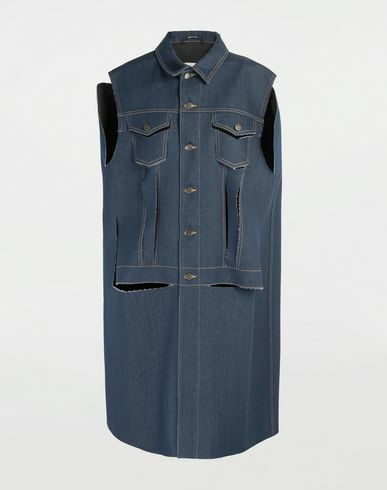 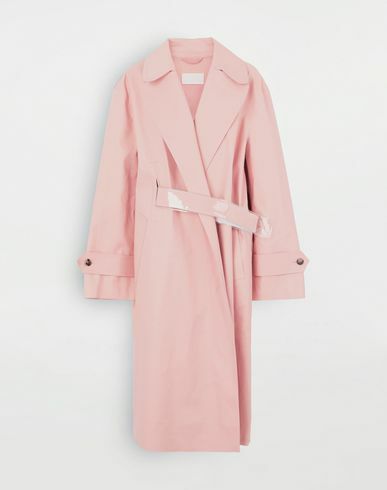 Classic envelope pockets and the double buttons offset the proportions. 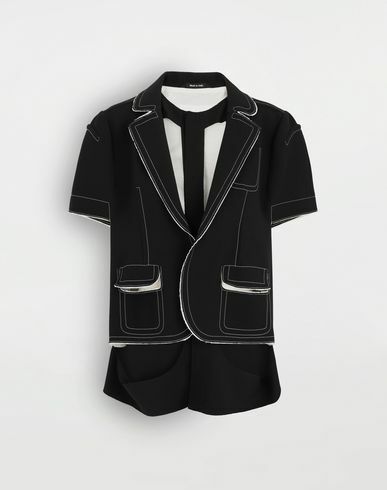 A striking Décolleté divides the front, interpreting the Maison's new 'Relaxed Glamour' concept.